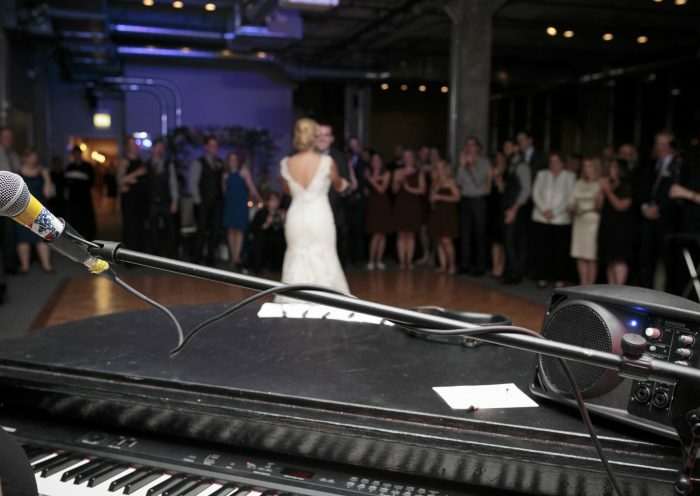 When considering options for booking live music for your next event in Chicago, the #1 choice can only be Howl2GO. There are numerous versions of Dueling Pianos out there, but none compare to the high energy, interactive experience that only Howl at the Moon’s touring show can offer. When Jim and Jessi were looking for the perfect pairing of a beautiful venue and awesome entertainment, they chose Howl2GO and the Shapiro Ballroom! From the cocktail hour through to the last dance, we worked with the couple on every single element of their musical selections for their big day. Coupling our music with the amazing food and ambiance of this amazing event space, they had the perfect night. CONGRATS to the new happy couple and thank you to the Shapiro Ballroom for showing them a wonderful time! Home to many business events, weddings and other special occasions, The Shapiro Ballroom is an excellent place for your next big occasion. This gorgeous facility has an open layout, on-staff event coordination, a bridal dressing room and so much more! On top of being an amazing facility, the prices at The Shapiro Ballroom are extremely competitive—making it an excellent location for any size budget. This also makes it a great space for many different events, such as baby showers, dinners, corporate parties, weddings and more. Part of what gives The Shapiro Ballroom its charm is the exposed brick walls, high ceilings, and gorgeous wood flooring. The main room also has tremendous lighting that is perfect for any occasion. The Shapiro Ballroom is a historic site and was the previous home to The Alvin Theatre—which was founded in 1913. For a beautiful venue at an excellent price, The Shapiro Ballroom is a wonderful choice.